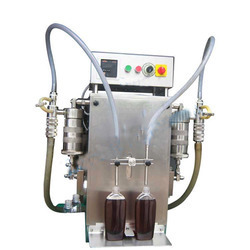 Backed by a deft team of expert professionals, we have been able to provide the customers with a comprehensive range of Auto Liquid Filling Machines. Under this range, we offer Automatic Liquid Filling Machines, Liquid Filling Machines and Liquid Oral Plants, to name a few. The entire range is manufactured in accordance with the global quality standards by employing premium-grade raw material, modern machinery and advent tools. Further, the complete range undergoes stringent quality tests to assure flawlessness & zero-defect. Our range is specifically designed for filling varied containers that possess a circular /oval base and can not stand by themselves. 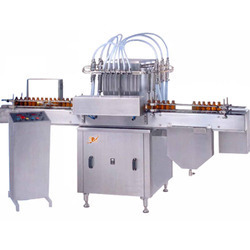 Precisely engineered using superior-grade components, the range is used for automatic feeding of bottles. Equipped with pneumatic auto stopping and filling controls, the range is acknowledged for excellent performance and low maintenance. 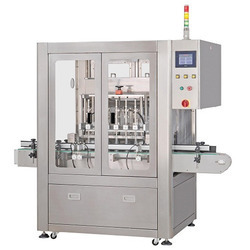 Leveraging on the dexterous professionals, we have been successful in providing the customers with high performing range of Liquid Oral Filling Machine. Our range is specifically demanded in the pharmaceutical sector for filling syrups into the bottles. Availed in variable capacities & sizes, the range is incorporated with sugar dissolving, manufacturing, storage, filtering vessels for transferring syrup into the bottles. We manufacture the vast range of Liquid Cup Filling Machine for qualitative packaging & filling of various liquids into the bottles. Owing to our expertise in this domain, we have been bale to provide the customers with a comprehensive assortment of high performing Automatic Liquid Filling Machines. Developed at par with the global quality standards, the range is specifically used for filling & packaging of containers that can not stand by themselves. Extensively used for varied filling applications, the range is incorporated with pneumatic auto stopping & filling controls for improved efficiency. Since inception, we are engaged in fulfilling the diversified demands of the customers by bringing forth a commendable assortment of Liquid Filling Machines. Robustly constructed as per the global quality standards, the range is widely used for qualitative packaging & filling of various liquids into the bottles. 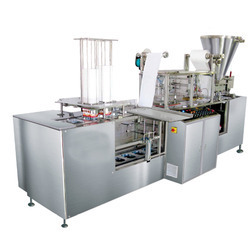 We are a well known name for providing the vast range of Cup Filling Machines for packaging and beverage industries. These machines are robust, efficient and precise in filling. 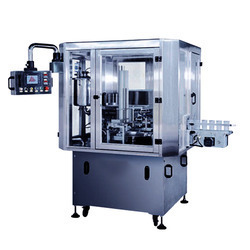 We are one of the prominent manufacturers engaged in offering quality assured Automatic Cup Filling Machine. The high-grade raw material is sourced from the reliable vendors of the market to manufacture these sealing machines as per the set industry standards and norms. Manufactured using superior quality components, these machines are known for their minimum maintenance, accurate functions, reliability and noiseless performance. Clients can avail these machines in various specifications as per their requirements. 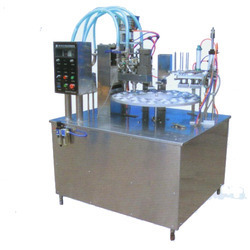 We are engaged in manufacturing, supplying and exporting a superior quality range of Head Liquid Filling Machines. 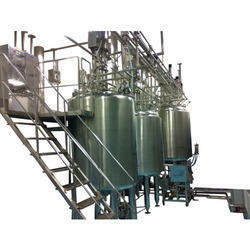 These machines are widely used to fill liquid product in different size containers. Our offered machines are widely used in pharmaceutical, food and production industries. We test these machines on various parameters so as to ensure their hassle-free working life.